When I went off to university my parents gave me a cassette (those existed back then…) with recordings from my early youth. On the cassette you could hear the voice of a five-year-old boy who answers the question ‘Magnus, what do you want to be when you grow up?’: ‘A vet!’. This always has remained the same. Living and working with animals was my biggest wish and when I after years of hard work finally graduated my wish had come true. Soon I could start working in a ‘mixed practice’ in Hengelo. There they threw me in at the deep end. However I always had preferred cats and dogs, I (born and raised in the city) could not avoid the larger animals in Overijssel. Young veterinarians have to work hard and do dirt that older colleagues would rather stay away from. Thousands of pigs I have vaccinated. In warm, rancid sties, where you would leave half-deaf. Many cows, calves, bulls, horses. And when all that hard work was done I used to jump in the shower and start my office hours for companion animals. A life like how many people would imagine James Herriot’s. With a great advantage: you learn fast. I have always had a special interest in surgery. In a busy practice with a colleague/boss who was perpetually on the road, I was all on my own. With a great assistant and the book there I learned the most important operations, without my old teachers’ all-seeing eyes, in practice. After having worked for roughly ten years in the east of our country it was time for a change. I wanted to run my own practice. But animal clinics for sale are not too common. After working for a year in a mixed practice in Badhoevedorp I came in contact with veterinary physician Fruithof, who at the time had a companion animal clinic at Hoofdweg in Amsterdam. Dr. Fruithof was going to retire and wanted a younger colleague to take over his practice. Soon we reached an agreement and after having worked under contract for half a year, in January 2000 I was allowed to start taking matters into my own hands. We purchased computers, the old card catalogue got thrown out. And the ‘open office hours’, whereby patients sometimes had to wait for hours, disappeared. We now met with patients by appointment only. And bit by bit I changed the practice to my own preference. In 2004 we were able to take a major step forward. Within six months the whole practice got renovated. We expanded and built a small modern hospital, equipped with state-of-the-art facilities. The practice kept on growing, so much so that we rapidly lacked space again. For that reason we decided to sell our clinic on Hoofdweg and continue in a newer, larger space. We decided on an office building on Koningin Wilhelminaplein, right across from the Fashion Center. Not far from the former location. Easily accessible and accommodated with even more advanced facilities. However… not on Hoofdweg, so the name ‘Dierenkliniek Hoofdweg’ had to be changed. It became Vetcare for the general practice and Vetdent for the dental specialty clinic. Vetcare, a name that stand for what we value: care for animals. Because caring stays the most important part of the job. After all, that is why I became a vet! Every veterinarian experiences a moment in his or her career, when it seems you have seen it all. That is when you start asking yourself if there might be more to learn. Roughly ten years ago I started to ask this question as well. I wanted to focus on a specialized field. This turned out to be veterinary dentistry, particularly on dogs, cats and small animals. Nowadays veterinary dentistry is an indispensable part of veterinary medicine, but ten years ago it was but an upcoming profession. During my seven years studying veterinary medicine in Utrecht, no less than one whole afternoon was spent on dentistry. Vets used to not pay much attention to it. How different is this today. Almost every veterinarian has followed at least one seminar on it. For me that was not enough. I attended special training in Halmstad, Sweden. A four-year programme, organised by the European School for Advanced Veterinary Studies. The programme is taught by European specialists and forms the basis for further specialization. The latter I did not do, I am not legally allowed to call myself a specialist. In The Netherlands there are no specialists in this field, there are only veterinarians who practice veterinary dentistry. They are united in Werkgroep voor Veterinaire Tandheelkunde (www.tandheelkundebijdieren.nl). As veterinary dentists, we treat animals with advanced dental problems. Within our practice we also treat animals that get referred to us by other veterinary physicians. These animals usually need very specific treatment. After the procedure the patient will then return to their own veterinarian. You can find more information on our website (www.vetdent.nl). An additional advantage is that we can give our own patients a little extra dental care! 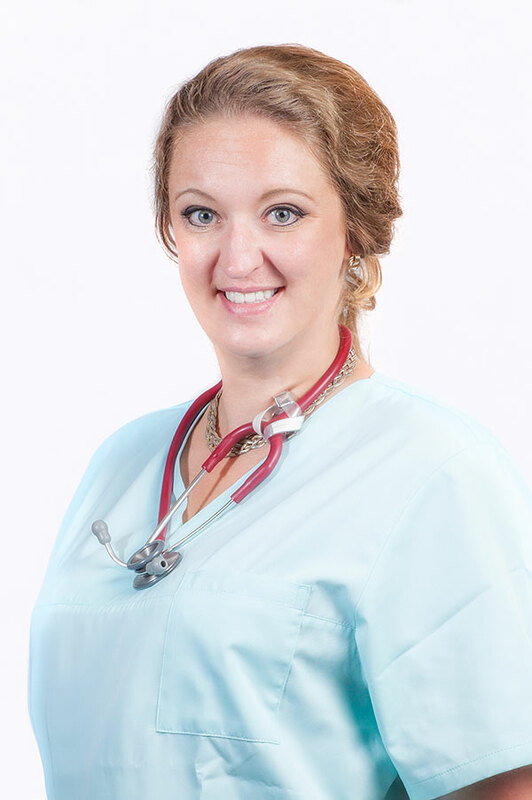 Veterinarian Kersseboom treats companion animals as general practitioner. My name is Angela Kersseboom. In 2009 I graduated as a veterinarian from Utrecht University. 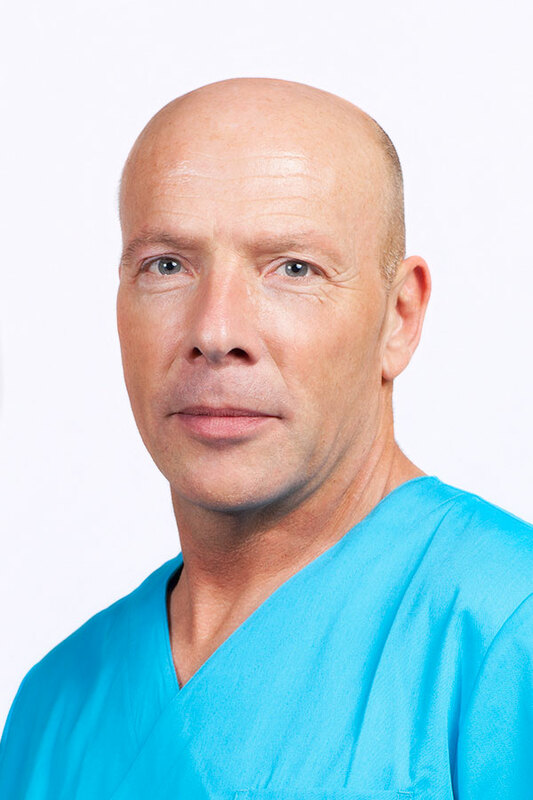 Since then I have worked in various practices in Rotterdam, as well as two and one-half years in a practice in Schiedam. I also worked as a volunteer at a Spanish animal shelter for abused and abandoned cats and dogs. Furthermore, I have worked as a veterinary assistant instructor and technical key contact manager in the pharmaceutical industry. You will frequently see me in the practice, a girl from Rotterdam who now is happily continuing her career in Amsterdam. As a child I already dreamed of becoming a veterinarian, and where there is a will, there is a way! I do my work with great passion and love. No day is the same, always new challenges, surprises and moving, but sadly also mournful moments. As a veterinarian I want to make a difference for both owner and pet by listening properly, doing research and finding a solution together. We are looking forward to meeting you in our practice!